Hate? Terror? What Motivated Orlando Nightclub Shooter? 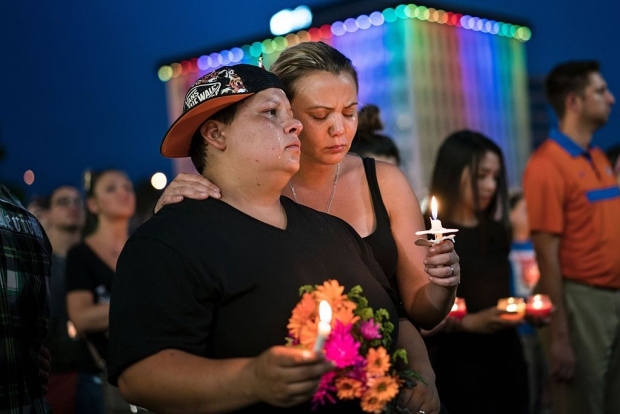 Shooter's father: "We are apologizing for the whole incident"
While no one may ever know what was truly going through the head of the man who shot over 100 people at a gay Orlando nightclub on Sunday, his family says he may have been motivated by pure hate against the LGBT community, NBC News reports. Various law enforcement officials have identified the shooter as Omar Mateen, 29, who was born in New York and lived in Port St. Lucie, Florida. Because of his name and heritage, there were immediately questions about Islamic fundamentalism — but his father said it may have been a recent incident involving two men showing each other affection that set the gunman off. "We were in Downtown Miami, Bayside, people were playing music. And he saw two men kissing each other in front of his wife and kid and he got very angry," Mir Seddique, told NBC News on Sunday. He also said the family was not aware he would take any action. "We are saying we are apologizing for the whole incident," Seddique said.